It’s another Yummy Sunday once again and I’m excited to check out yummy food photos from you. It will be a busy Sunday for me because it’s our Church Anniversary, but I will still find time to visit your entries once I am done with with our activity. Anyway, have you tried this Tower Burger from KFC? 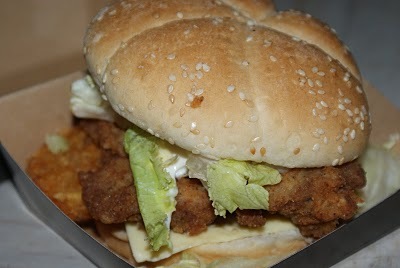 I haven’t been to KFC lately and this burger reminds me to visit the store and try this new burger. Have You Tried Using a PEX Tube? I miss KFC a lot! Yum yum!! KFC serves good comfort food ^^ yum yum ! Yummy! I am yet to try the tower burger but I love KFC burgers. Late na naman ako, I was sleepy na when I saw this up yesterday and didn’t get the chance to do the blog post when I woke up.